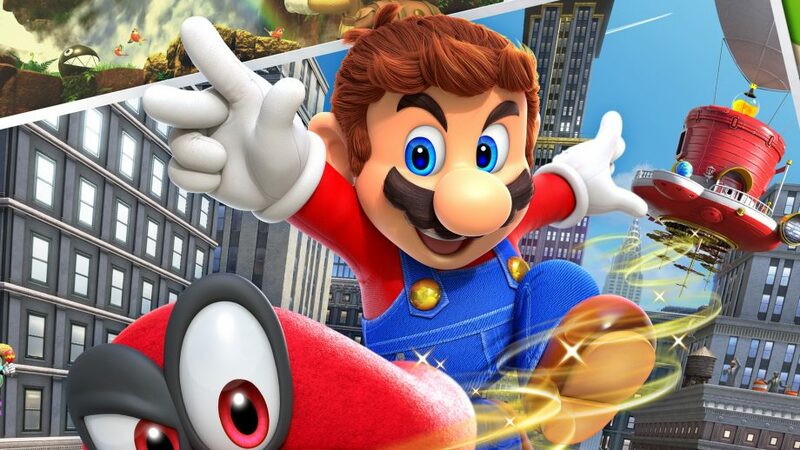 Super Mario Odyssey is by far one of the best games of 2018 and packed with stuff to do and find. That makes it easy to miss out on a lot of fun stuff if you don’t know where to find it. Even after you’ve finished the game more than a few times on your own, you’ll be surprised to find that there is a whole load of stuff you didn’t even know about. To help you make the most of your time and experience the game in its entirety, we’ve compiled some helpful tips and tricks for you. Any other Amiibo or Amiibo Card: Random bonus, hearts or coin rewards. If you do manage to collect 999 power moons, you’ll unlock a top hat on Peach’s Castle. Super Mario Odyssey wouldn’t be a Mario game without secret levels to unlock and explore. After you end the game, the Kingdoms get larger in size and feature unique new NPC’s that offer new quests but if you manage to collect enough moons and finish the game that you get 3 completely new kingdoms to explore. If you manage to beat the final boss and acquire 250 moons you’ll unlock the Dark Side Kingdom on the moon which is a whole new kingdom with its own moons to collect. If you manage to beat the final boss in the Dark Side of the moon and acquire 500 moons in total, you’ll unlock the Darker Side Kingdom on the world map completing which will get you the invisibility hate. Finishing the game alone will unlock the Mushroom Kingdom for you to explore. How To Play As Yoshi? To play as Yoshi you’ll have to complete the game to unlock him. After beating Bowser at the end of the game, travel to the Mushroom Kingdom and pay Peach’s castle a visit. When at the castle, go around the left side and you’ll find a scarecrow. Throw Cappy at the scarecrow to make a secret staircase appear that will let you access the roof of the castle. You’ll need to run up the stairs fast to make sure they don’t disappear. Once on the roof, look for an egg with green spots which goes without saying is Yoshi’s. You’ll need to break the egg by jumping on it to make Yoshi appear. You can’t ride Yoshi in Super Mario Odyssey but much like every other thing in the game, you can take control of him by throwing Cappy at him. You can eat apples to gain more moons as Yoshi and unlock a variety of different quests in the Mushroom Kingdom that are related to Yoshi. Super Mario Odyssey is filled with hidden challenges that net you some extra moons and in some cases purple coins as well. You can find hidden challenges by looking for red and gold doors with hat symbols on them. These will take you to a secret level where you’ll be required to complete a challenge to earn a moon. There’s always a second moon with the level which you can get while completing the level. If you feel like you missed something you can go back and Cappy will tell you if you got everything. By jumping on the globe at the Odyssey, you can cancel the music of any level to play either the theme from Cascade Kingdom or Jump Up Superstar using a wind-up box. If you use the wind-up box on any level before the Lost Kingdom the globe will play the Cascade Kingdom theme and the Jump Up Superstar from Metro Kingdom and further levels.